West Ham have announced an innovative new approach to their community work which will see first-team players from both the men’s and women’s teams become ambassadors for different programmes. The ‘Players’ Project’ will see £10million invested over the next three years which provide opportunities to 100,000 local people and, according to the club, will “fundamentally change the lives of 10,000 people”. The club say it is “the most ambitious and integrated community programme ever created by a Premier League club”. West Ham United Vice-Chairman Karren Brady explained: "The Players’ Project demonstrates our commitment to the community runs right through the club’s DNA - from top to bottom, playing and non-playing staff alike. "Our focus is on using the power of sport to improve social integration, help people overcome barriers and motivate, educate, and inspire people in the local community. This ambitious project will see our players - each one of them acting as ambassadors for a key area of our community outreach - getting out into our community using the power of football to create life-changing experiences that bring hope, inspire change, and deliver opportunities. “Today we are committing to invest £10million over three years. The club’s support for local communities can be seen by the sheer scale and scope of our programmes. On top of our outstanding football development programmes, we work on a broad range of initiatives focusing on employment, education, social deprivation, crime reduction, youth offending and much more. The club, which moved into the former Olympic Stadium in 2016, say they have already invested almost £13million across education, health and social mobility projects since 2013 in the London Borough of Newham and surrounding Olympic boroughs and Essex. Club captain Mark Noble added: “This football club is at the centre of a community that has been an integral part of my life since the day I was born. I grew up in Canning Town and have always known about the values held dear by the working-class people of east London. “Football has the power to do great things. 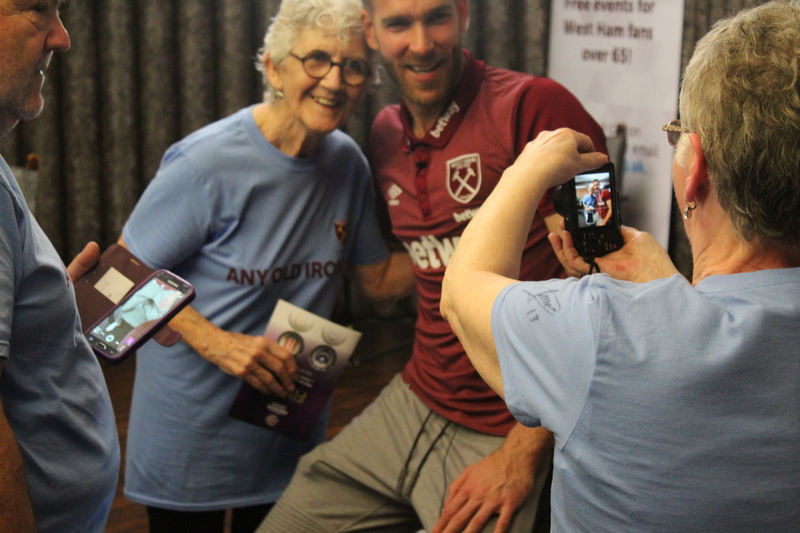 As players, we are all aware of our role as ambassadors, representing not only the football club but the community that surrounds us, and it is important that we continue to strengthen that bond.